Ok, let’s see if I remember how this blogging thing works! Here is an elegant, yet lighthearted affair thrown by two of the sweetest people ever to find one another. 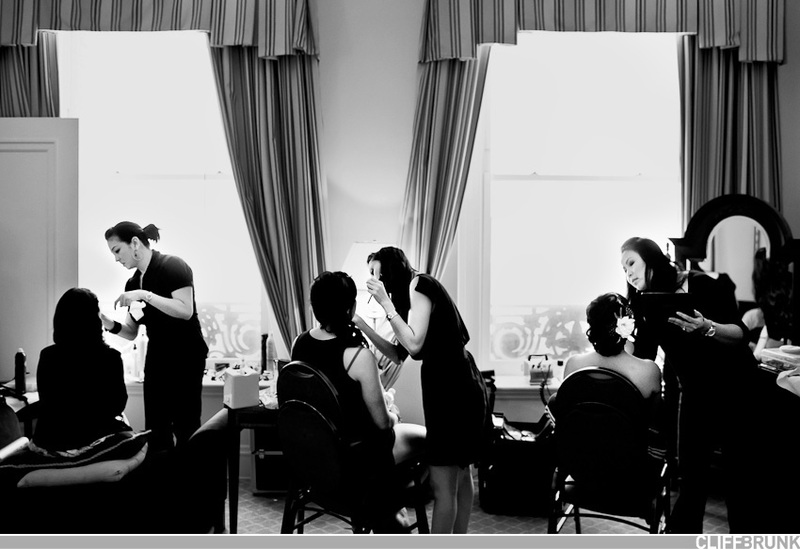 We started things off at The Palace Hotel for the getting ready. The fabulous Giao Nguyen and her team took the lead on hair and makeup, and she’s quickly become one of my favorites. We were lucky enough to have the chance to shoot in the restaurant with no one around. I was pretty happy to be able to make some images with the most beautiful ceiling in the city as my backdrop. Gwen Helbush of Where to Start Weddings even pulled some strings to get us access to the upper tier. Definitely above and beyond Gwen, thanks! We moved on the Asian Art Museum from there for a few more portraits before the ceremony. I loved the restrained elegance mixed with the playfulness of the video game theme. A spin on the father daughter dance was the father/daughter slideshow, which brought out some great emotion. Matthias - Rock on! Those portraits are amazing. Beautiful work Cliff. Cliff - Thank you Matthias and Wendy!